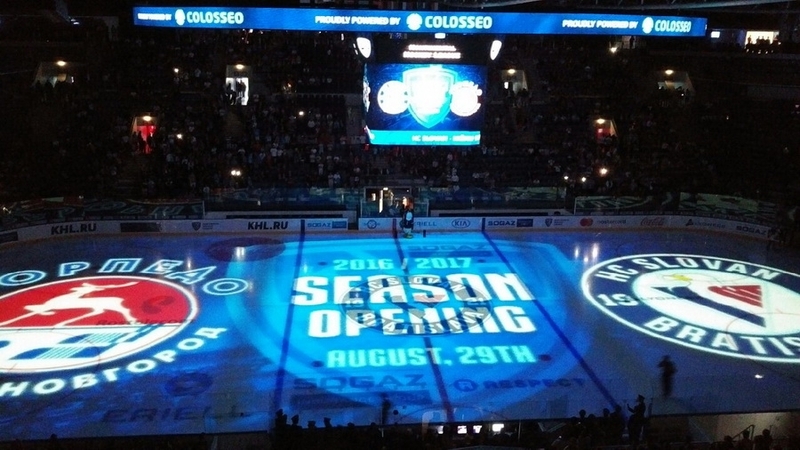 The spectacular opening at Nepela Arena in Bratislava, Slovakia with On Ice Projection technology just kicked off the 2016/17 KHL season. 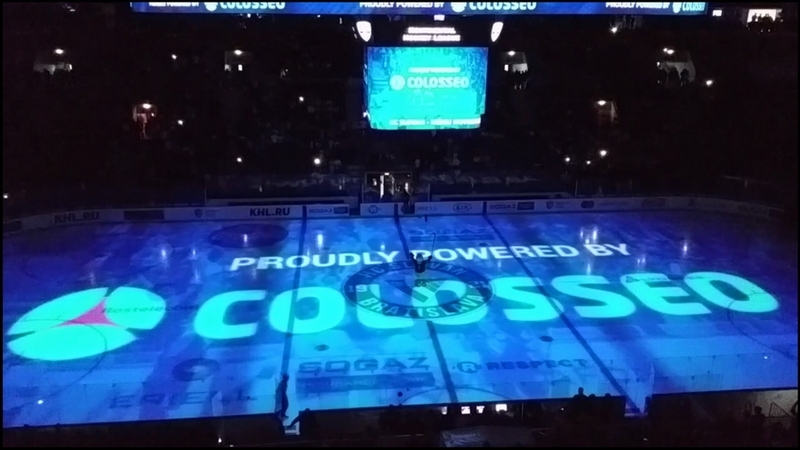 During the summer, Colosseo delivered complete technology for interactive on ice projection, including its own custom high brightness projectors and complete platform for controlling and synchronizing projectors. We have installed 6 projector nests, each with performance of over 20 000 cd and HD resolution. Complete scene resolution is over 4k and content generation and display is controlled by the famous Colosseo Single Media Platform (SMP) which unveiled a new generation of the output control module (Colosseo Flow Server) for controlling and integrating multiple projectors in real-time and with multi-projector edge blending overlap technology among other enhancing features. 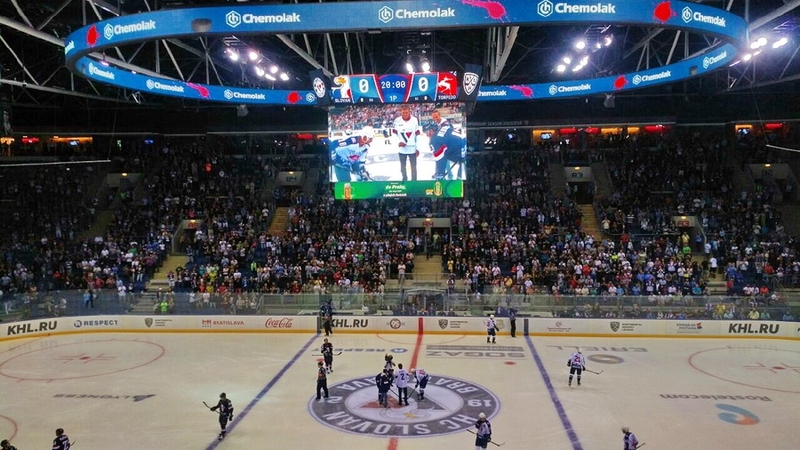 This affordable solution for venues is built using high performance projectors by Colosseo using high quality Ushio lamps and image display is performed on Sony 3LCD chips with redundancy. Commercial availability of the solution for customers is announced for the end of September. The complete package with redundancy will cost under three hundred thousand US dollars for venues with capacity off around ten thousand seats. 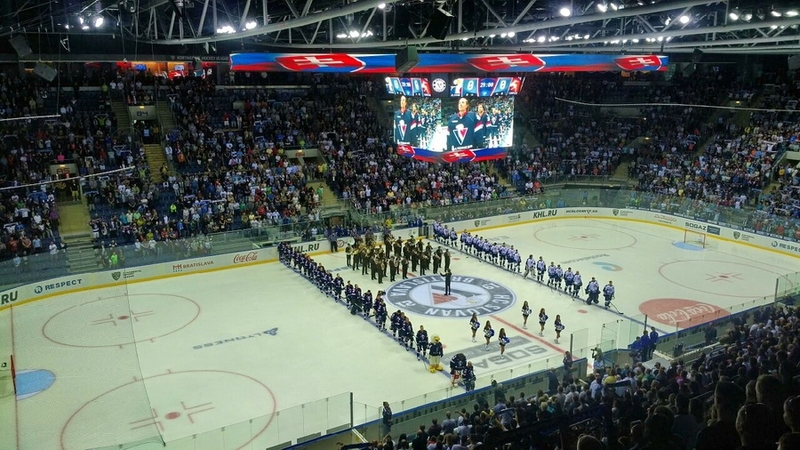 On Ice Projection Nepela Arena by ColosseoEAS from ColosseoEAS on Vimeo.